Wichita's LASIK eye surgery and laser vision correction specialists. Experience 20/20 vision again. At Grene Laser, we understand the importance of knowing if LASIK eye surgery is right for you. Schedule your appointment at our Wichita office by giving us a call at 1-877-891-2020 or contact us online. The Grene Laser Team in Wichita has helped thousands enjoy great vision without glasses or contact lenses by reducing the patient’s nearsightedness, farsightedness and/or astigmatism. Grene Laser combines its experience and laser vision correction technology with a strong commitment to great patient care. Many patients experience natural, 20/20 vision for the first time since childhood. Mark L. Wellemeyer, M.D. has performed more than 20,000 laser vision surgeries. Dr. Wellemeyer is a LASIK eye surgery specialist who has completed post graduate fellowships in corneal surgery. 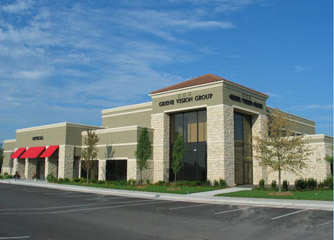 He is a member of Grene Vision Group, one of the leading eyecare groups in Wichita, Kansas and the United States. Trevor Askew, O.D. is the Director of the Refractive Surgery Program and provides refractive surgery consultations and post operative care. Grene Laser is proud to offer the latest laser vision correction techniques and most sophisticated technology in refractive surgery. LASIK eye surgery features blade-free IntraLase® laser for flap creation and custom wavefront treatment software, Alcon's Wavelight® laser system is one of the world’s newest and fastest systems for laser vision correction. Grene Laser offers you the latest laser technology of any eye care practice in the Wichita, Kansas area. We know it’s natural for patients to feel some anxiety about undergoing laser vision correction. Grene Laser is here to make your experience easy and comfortable.